The Medical Scientific Institute is named after Professor Dr. Paul C. Flu. Who was Professor Dr. Paul C. Flu? Paul Christiaan Flu was born on February 11, 1884 in Paramaribo. He began his medical training at the local Medical School and graduated on March 31 1905. He went to the Netherlands and in 1906 he obtained a doctor’s degree in Utrecht. Then he was trained as an ophthalmologist. After completion of this training he studied bacteriology under super-vision of Professor Spronck in Utrecht. He became a lieutenant in the Medical Corps of the Army of the Dutch East Indies and in order to do his work properly, he went on to study tropical diseases in Hamburg, Germany, where his love for Parasitology began. In 1908 he returned to Suriname and worked temporarily at the military hospital as an ophthalmologist. He also worked in the Pathology Laboratory and was a lecturer at the Medical School. 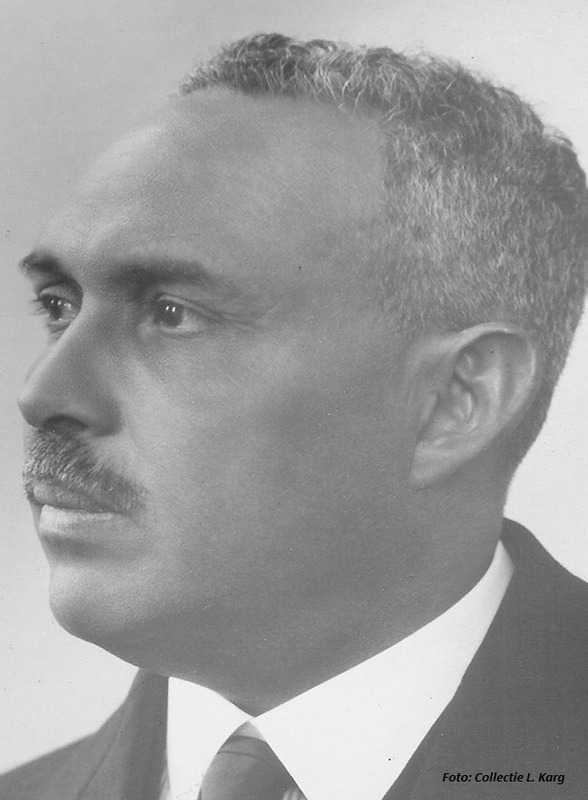 Flu, who can be regarded as the pioneer of Parasitology in Suriname, has done important scientific work in Suriname and the former Dutch East Indies. He is also considered the founder of the Surinamese water supply system. He has done a great deal of work during the last epidemic of urban yellow fever in Suriname, which lasted from December 1908 to February 1909. On April 16 1910, by government decree, Flu was made responsible for scientific research into the prevalence of malaria in the interior of Suriname and the study of this disease. He was one of the doctors who in 1911 healed 700 patients who had tropica yaws, through injections with Salversan. For this work he received the distinction of Knight of the Order of Oranje-Nassau. In July of 1911, by decision of the Dutch government, Flu was mutated to Dutch East Indies, where he conducted research in Batavia during a severe cholera epidemic. He managed to isolate cholera vibrios from flies. In 1912 he studied the plague in Malang and the possible role of mosquitoes in transmitting this disease. In Priok he studied rat fleas associated with the plague. The fact that chickens did not get the plague inspired him to conduct a study on immunity of chickens against the plague (1919). In 1920 he managed to make a vaccine against the plague and thus continued the work of Dr. Borger who started it, but unfortunately died in 1915. He was the first to determine (1921) that filaria occurred in Batavia among the indigenous residents. In connection with the fight against the filaria vector Culex fatigans he encouraged installing water pipe systems in Batavia, so that the rainwater reservoirs could be discarded. In 1921 he was appointed professor of tropical hygiene at the University of Leiden. When the Institute of Tropical Medicine at Leiden was completed, he was appointed Director. In 1925 the University of Utrecht granted him an honorary doctorate in Medicine. From 1938 – 1939 he was Rector of the University of Leiden. During the German Occupation, Flu stood up for the freedom of the University. In August 1942 he was imprisoned by the German occupiers and in January 1944 he was interned in a concentration camp, while his eldest son Hans was murdered by the Germans. He suffered both physically and mentally under the German occupation. His health increasingly deteriorated and on December 19, 1945 he died at the age of 61 in Leiden. 1908 : Flu first diagnoses microscopic P. falciparum, P.vivax and P. malariae. 1911 : Flu first detects Schistosoma mansoni in Suriname . 1911 : Flu first reports the savanna filarial Manson Ella ozzardi in Suriname .